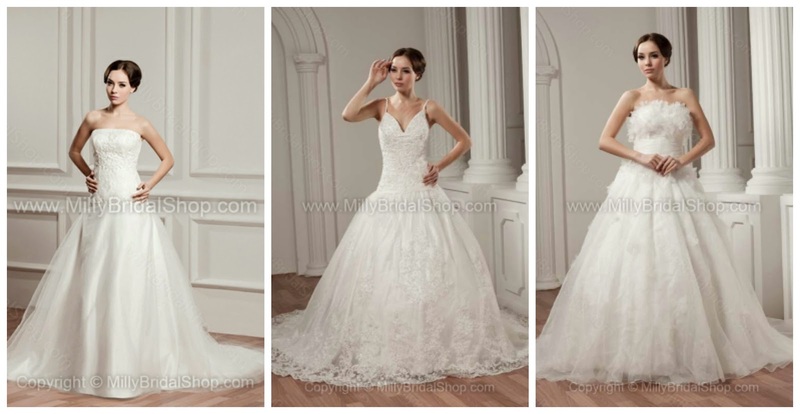 What type of bride will you be? When we attend a wedding, all our attention goes to the bride, the sweet beautiful lady who stands in front of us in her gorgeous dress. There is a smile on her face and maybe you can see tears in her eyes, but are all brides as sweet as they look? Most women dream of the big day for a long time, so when the moment arrives they want everything to be perfect. This need for perfection may lead to reveal a side of her character that she kept hidden for a long time or to make her reactions a little more dramatic. 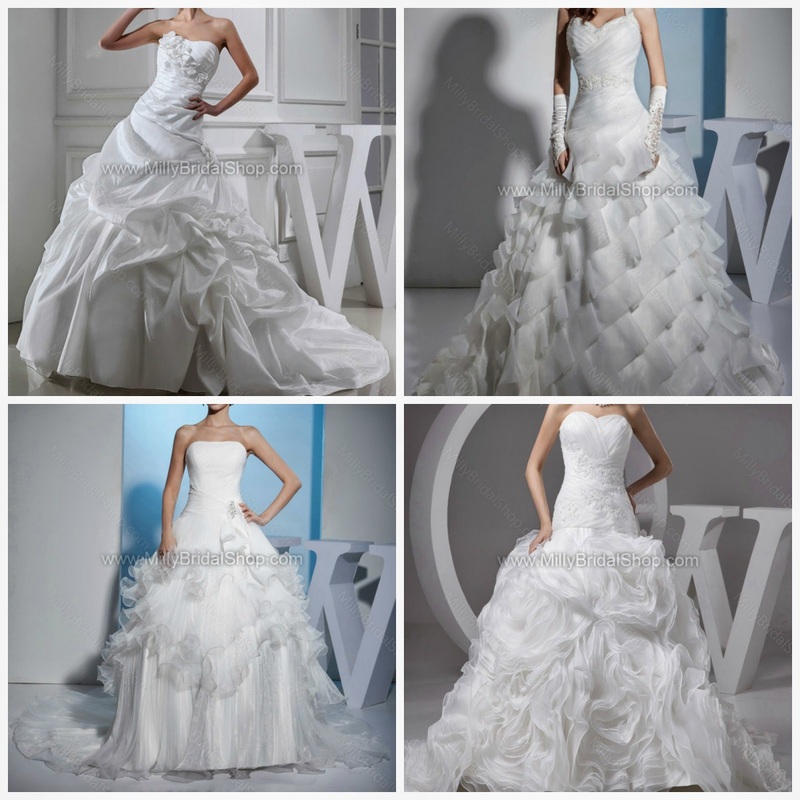 Here are some types of brides I could come up with. Do you see yourself among them? 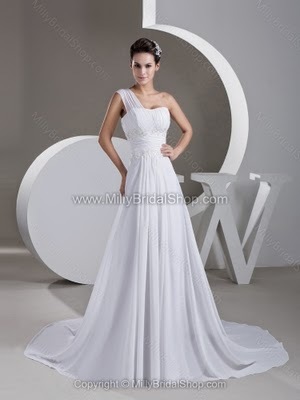 Let’s take a look at them while enjoying 2014 wedding dress trends. She cries a lot, she cries when she tries on her wedding dress, when she writes the invitations, when she buys her bridal shoes or when her girlfriends help her prepare for the wedding. Her bridal make up should be waterproof! Even if she finds her dream dress, she’s still worried. You will never see her smile as she always has a concern about something. She can’t sleep the night before her wedding and she ends up with pimples on her skin because of stress. Due to her fear of being late, she ends up going to the church before the groom. All her adult life she used to say that she isn’t a fan of big weddings and she doesn’t dream of wearing a wedding gown. 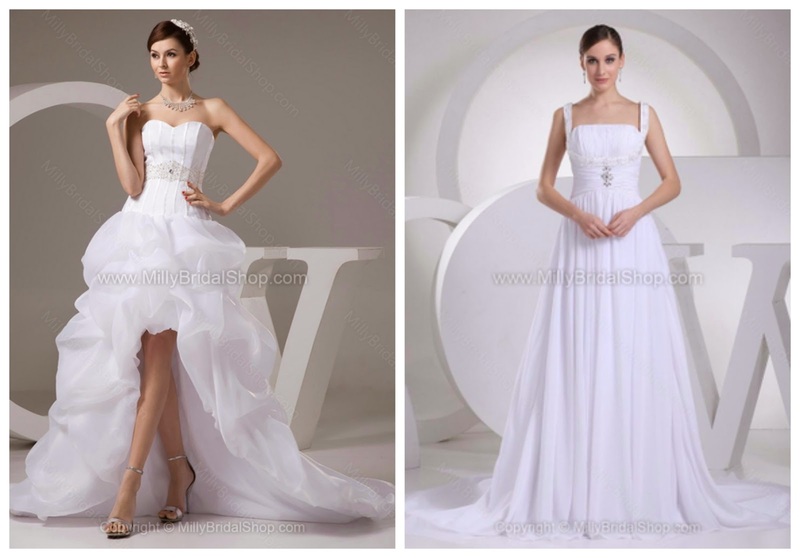 Her wedding dress is trendy, maybe not even a dress, and her style is very simple. She chooses to drive herself to the ceremony. If you think this is impossible, I assure you that I have seen a bride driving the bridal vehicle. The word ‘no’ doesn’t exist in her dictionary. She will accept everything without any complaints. Her bridal bouquet was supposed to be with roses, but she receives tulips. Rhinestones fall off her dress or shoes, but she will try to fix everything without asking for replacement. The final hairstyle isn’t exactly what she had asked for. Nevertheless, she will say ‘ok’ to everything and won’t fight for her desires. ‘Too much’ of everything! It will take her a long time to organise her wedding because she wants to have a wedding everybody will remember. The Cinderella carriage is a ‘must’ for her or at least a limo or a helicopter. She will buy a designer wedding dress and she will make sure to let everyone know. Fireworks and a popular singer are sure to be seen at her wedding reception. Ivory or champagne? Orchids or daisies? Long or short dress? Anyone who will work with her needs to have a lot of patience as she will change her mind several times until she makes a decision. She will repeat her bridal hair and make up rehearsal a couple times, but she will change everything the last day. I hope she turns up at the wedding and she doesn’t change her mind about getting married! You’d better not meet a bride like her. She wants everything to be perfect and others must obey her commands. Working for her can’t be easy for any wedding planner or florist, let alone her bridesmaids. Even her family may have a hard time with her and her future husband will have to put up with her crazy demands too. But at the end she will probably manage to have everything as planned. 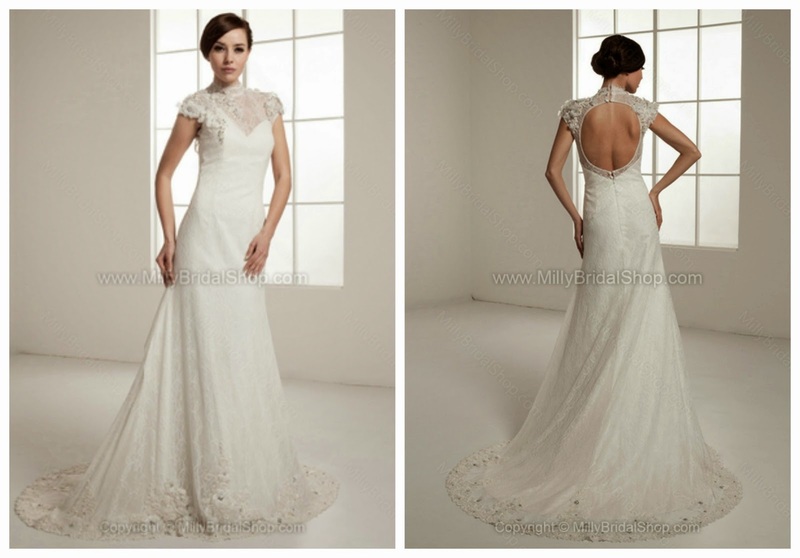 You can find these beautiful wedding dresses and more on www.millybridalshop.com.